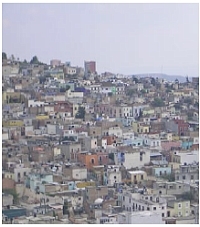 This publication is a result of the UN, FIG, PC IDEA Inter-Regional Special Forum on “Development of Land Information Policies in the Americas”, held in Aguascalientes, Mexico, 26–27 October 2004. It includes a report of the Forum and the Aguascalientes Statement as a conclusion of the Forum. The Forum was based on a resolution adopted at the Seventh United Nations Regional Cartographic Conference for the Americas held New York January 2001. The International Federation of Surveyors (FIG) was tasked with taking the lead role in organizing the special forum with support from the United Nations Statistics Division, Department of Economic and Social Affairs, and the Permanent Committee on Spatial Data Infrastructures for the Americas (PC IDEA) and being hosted by the National Institute of Statistics, Geography and Informatics (INEGI) in Aguascalientes, Mexico. We are happy to include this report in the FIG Publication series as a valuable addition to other joint publications from joint events organized by the United Nations and FIG. These include the Bogor Declaration from the United Nations Interregional Meeting of Experts on the Cadastre, 1996; the Bathurst Declaration on Land Administration for Sustainable Development, 1999; the Nairobi Statement on Spatial Information for Sustainable Development, 2001 and the Marrakech Statement on Urban-Rural Inter-relationship, 2003. On behalf of the organizers of the Forum we would like to express our special thanks to Prof. John Parker and Prof. Stig Enemark for their great work with this report and for organizing the Forum. The aim of the UN, FIG, PC IDEA Inter-Regional Special Forum on “Development of Land Information Policies in the Americas” was to emphasize the importance for governments to develop land policies that effectively and efficiently incorporate appropriate spatial data infrastructures (SDI’s) due to the economic and social value that results from integrating the land administration/cadastre/land registration function with the topographic mapping function. The special forum was based on a resolution adopted at the Seventh United Nations Regional Cartographic Conference for the Americas held New York January 2001 (see Appendix 1). The organizers wish to thank all who participated, contributed, supported and encouraged the special forum which has resulted in this ‘Aguascalientes Statement’. It is gratefully acknowledged the support and funding provided by the Canadian Government through Natural Resources Canada, the United States of America Government through USGS/FGDC and USAID, the World Bank through the Danish Trust Fund, and the Pan American Institute of Geography and History (PAIGH). Sincere thanks to INEGI for making available their excellent facilities and to the many people in INEGI who supported and assisted with the Special Forum. Finally, we wish to convey our sincere gratitude and thanks to all the delegates who traveled from all parts of the Americas to attend the Special Forum and who participated so actively and enthusiastically. 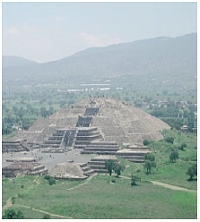 This report of the Special Forum will be tabled at the Eighth United Nations Regional Cartographic Conference for the Americas to be held in June 2005 in New York. This should assist member States to develop appropriate institutional, legal and technical processes to integrate land administration and topographic mapping programs within the context of a wider national strategy for spatial data infrastructure. The objective set forth by this Forum was to raise awareness on the importance of fostering modern land policies associated with spatial data infrastructures and on the value of integrating land administration, cadastre and land registration functions with topographic mapping. The Special Forum agreed that sound land information policies are essential to sustainable development. All sessions discussed and covered these issues in full. Several countries reported their experience when implementing these measures. This Forum has undoubtedly provided a global understanding of land administration and SDI’s development and has enhanced the knowledge to make intelligent decisions for the benefit of the Americas. In many countries the land ownership and registration function is located in one department e.g. the justice or legal department of government, while the geodetic survey and mapping function is located in another department, and often has very little if anything to do with the ownership and registration function. When a land administration project is initiated and funded, say by the World Bank, the government’s institutional arrangements of departments can make it very difficult to access information and involve the skills and knowledge between different departments, e.g. between the survey and mapping functional area and justice and legal functional area. To develop an overall understanding of the value of integrating the land administration/cadastre/land registration functions with the topographic mapping function. The program of the special forum consisted of four key-note presentations followed by some case studies from various regions of the world, and a number of case studies from the Latin American countries (see Appendix 2). The case studies followed a common format in order to ensure consistency and contextual focus. Sessions were allocated to discussions of the case studies and for short presentations and discussions on the challenges facing the Americas with respect to the theme of this forum. These provided the opportunity for those attending to either comment on a presentation or provide some insight into the situation within their own country. A list of papers with summary abstracts is presented in Appendix 3. The full papers and the PowerPoint presentations are available in English and Spanish at the FIG website. There were about 60 delegates from 18 countries together with representatives from the United Nations, FIG, PC IDEA, World Bank, and PAIGH. A list of the delegations can be found in Appendix 4. The operational component of the land management paradigm is the range of land administration functions that ensure proper management of rights, restrictions and responsibilities in relation to property, land and natural resources. 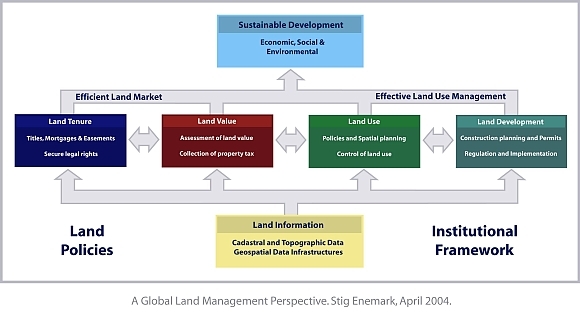 These functions include the areas of land tenure (securing and transferring rights in land); land value (valuation and taxation of land and properties); land-use (planning and control of the use of land and natural resources); and land development (utilities, infrastructure, construction planning, permits, and implementation). The land administration functions are based on and are facilitated by appropriate land information infrastructures that include cadastral and topographic datasets and provide access to complete and up-to-date information of the built and natural environment. 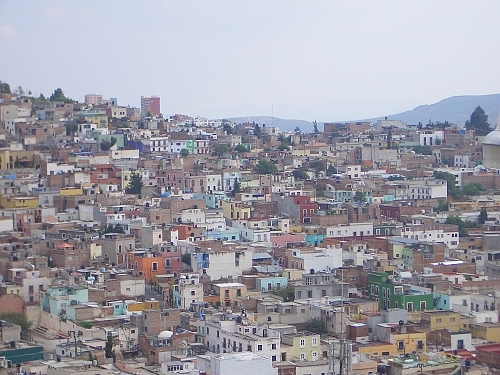 Urban environment – Zacatecas, Mexico. 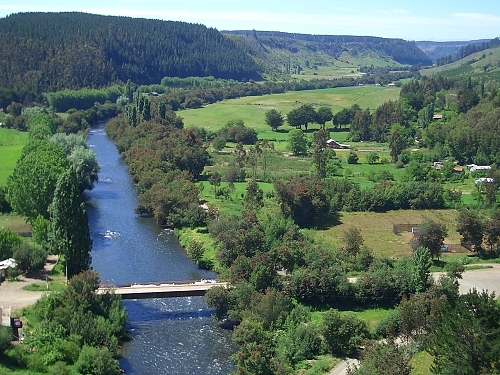 Rural environment – Concepcion Province, Chile. The information on land and properties permeates through the overall system and provides the basic infrastructure for running the administrative systems within the four interrelated areas. The land information area should be organized to combine the cadastral and topographic data and thereby linking the built environment (including the legal land rights) with the natural environment (including environmental and natural resource issues). Land information should be organized as a spatial data infrastructure at national, regional and local level based on relevant policies for data sharing, cost recovery, access to data, standards, etc. It is generally recognized that about 70 per cent of all government information is geospatially based. The modern land administration system is concerned with detailed information at the individual land parcel level. As such it should service the needs of both the individual and the community at large. These ambitious goals will not be achieved unless there is a commitment to designing and implementing effective land administration infrastructures. These may be described as the organisations, standards, processes, information and dissemination systems and technologies required to support the allocation, transfer, dealing and use of land. Information technology will play an increasingly important role both in constructing the necessary infrastructure and in providing effective citizen access to information. 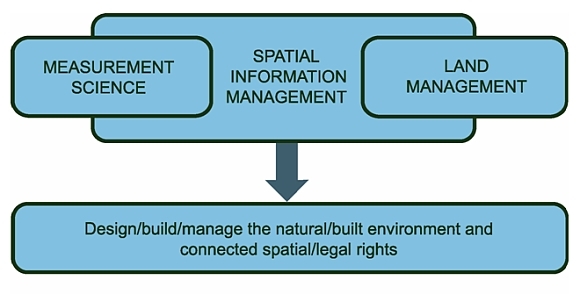 Spatial data infrastructures in a land management framework provide mechanisms for sharing geo-referenced information. Key elements include adoption and implementation of technical standards, adoption of access policies and cost recovery policies, and design of co-operative relationships between governmental levels and between the public and private sector. The governmental initiatives and policies on Geospatial Data Infrastructures should establish these mechanisms and thereby coordinate and integrate the basic building blocks of a National SDI: the digital registers and maps at various levels and the necessary logical data models that facilitate an integrated utilization and availability of the data. By creating an infrastructure and the relevant linkages positive results will emerge. Clear responsibility for data maintenance and upgrade will be established, duplication will be reduced and analysis improved. Sound decision-making processes are developed for governments at all levels, and valuable information is created for academic institutions, the private sector and the community. Traditional education of surveyors has focused on geometry and technology more than on land use and land administration. Taking a land administration approach to surveying education, there is a need to change the focus from being seen very much as an engineering discipline. There is a need for a more managerial and interdisciplinary focus as a basis for developing and running adequate systems of land administration. A future educational profile for land administrators should consist of Measurement Science and Land Management and supported by and embedded in a broad interdisciplinary paradigm of Spatial Information Management. Such a profile is illustrated below. The educational profile of the future. The spatial information revolution and the evolving land management paradigm in support of sustainable development have had many influences on education and professional structures over the last two decades. The international surveying profession and the national associations will have to adapt to these challenges and develop structures that accommodate a modern interdisciplinary profile. This includes adoption of ethical principles and model codes of professional conduct suitable for performing this modern role. 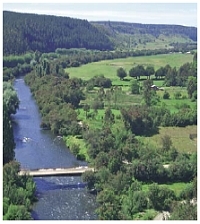 The profile of the land management profession in the third millennium will include a mix of technical surveying and mapping professionals, business practitioners, spatial data managers, land and environmental resource managers (in the public as well as the private sector), and legal and financial consultants on land management matters. In many Latin American and Caribbean countries there is a need to establish professional associations that can set standards, enforce professional development, and interact with sister associations within the region and world wide through international NGO’s such as FIG. This will increase awareness about regional and global opportunities for technological development and transfer, institutional strengthening, and the exchange of managerial and SDI experiences. Establishing appropriate institutional and organizational infrastructures is seen as a crucial key for achieving sustainability in any society. In a theoretical sense, the concept of property rights is such an institution. Appropriate cadastral systems play a most important role in terms of facilitating the real property transactions such as land transfers, land taxation and control of land use and land development. A fundamental institutional challenge in this regard is related to understanding the value of developing appropriate institutional, legal and technical processes to integrate land administration and topographic mapping programs within the context of a wider national land policy. Similar to developed countries, developing countries in Latin America and the Caribbean need current and reliable data, and need to define standards and adopt policies to access information, but they also face different priorities. These include the need for capacity building, institutional development, and sustainable funding solutions. Institutional reforms will be pushed by increased demands for information to support sustainable development. But it will take time. Good land administration systems and good governance will improve the quality of life of a nations citizens. It is understood that one model will not fit all countries. In spite of sharing much the same geography and history, the Latin American and Caribbean region shows diverse approaches to land information and land registration systems, as well as to the building of spatial data infrastructures. Such systems are embedded in the institutional development of the country or jurisdiction and the institutional arrangements may change over time to better support the implementation of land policies and good governance. Capacity building is increasingly seen as a key component of land administration projects such as World Bank projects in developing and transition countries. However, the capacity building concept is often used in a very narrow meaning such as focusing on staff development through formal education and training programs to meet the deficit of qualified personnel in the actual project in the short term. This conventional understanding has changed over recent year towards a broader and more holistic view covering social, organizational and educational aspects. Capacity Building therefore is a broader concept than just Human Resource Development since it includes an emphasis on the overall system, environment and context in which individuals, organizations and societies operate and interact. Where a donor project is established to create land administration infrastructures in developing or transition countries, it is critical that capacity building is a main stream component that is addressed up front, not as an add-on. In fact, such projects should be dealt with as capacity building projects in themselves. While attention should still be given to doing the project, the key focus should be on building capacity to meet the medium and long term needs. In this regard attention should be given to sustaining existing educational facilities in terms of institutional development, quality management, and financial support. Attention should also be given to the development of one or more Regional Centers in the Latin American and Caribbean region for Education and Research in Land Administration. Such centers should act as ongoing bodies of knowledge and experience in land administration and using actual projects as long-term case studies and operational laboratories. The centers should provide educational programs and supervise establishment of educational programs at other institutions. The centers should develop guidelines for capacity assessment in land administration and interact with national institutions, international academics and professional bodies to assist regional and local development serving regional and local needs. It is important to demonstrate the economic value of land administration systems and SDI’s to high-level decision-makers, considering the large number of priorities they are facing. This should be based on further case studies from the Latin American and Caribbean region. 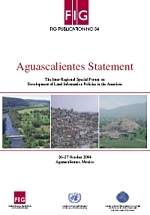 The conclusions can be summarized in the “Aguascalientes Statement” as presented earlier in this publication. The Special Forum recommends that politicians and decision makers at various levels take note of this statement and make efforts to ensure its implementation. 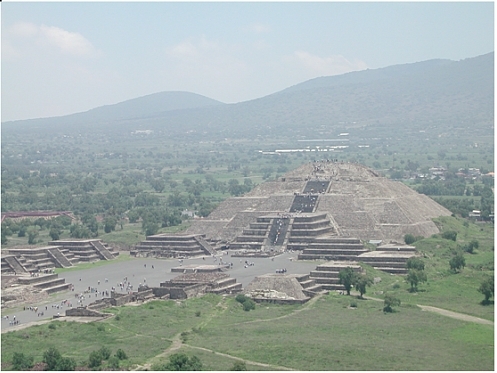 Full papers and powerpoint presentations in English and Spanish are available at http://www.FIG.net/pub/mexico. In Canada, geospatial information affects almost every aspect of our daily life – even if Canadians are largely unaware of its applications. A base layer of Canada’s land information structure is the property parcel, which provides a window of access to vast amounts of thematic geospatial data. Governments, businesses and citizens use location-based information in making decisions that affect the economy, the environment and our way of life. The challenge is to put the tools of geospatial data into the hands of Canadians who can use them — not the geomatics and geospatial experts, but the hundreds of thousands of citizens who can use geospatial data in their daily jobs and to improve their lives. The paper presents a conceptual understanding in the areas of Cadastre, Land Administration, and Land Management as a basis for building adequate land information policies. To develop this understanding the paper looks at each area as a system or an infrastructure designed for handling specific tasks and serving specific needs in society. The paper analyzes the function and the basic elements of the systems and looks at the interaction between the four key areas: land tenure, land value, land-use, and land development. Finally the paper explores the key challenges to be faced by the politicians in this area. These challenges relate to educational, professional, institutional, and capacity building issues. The paper focuses on the broad conclusions from recent research on land issues It argues that well-defined and secure land rights are critical to provide incentives for investment and sustainable resource management, to facilitate low cost transfers of land and credit access as the rural non-farm economy develops, and to allow provision of public services at minimum cost. Based on a review of the historical evolution of property rights, the paper outlines channels through which the nature of such rights, the way in which they can be exchanged, affect economic growth, poverty reduction, and governance. For each of these areas, policy actions that can help to improve the security of land rights, reduce the cost of exchanging them, and promote socially desirable land use are outlined. International economic and social development is currently facing a number of challenges that require the adoption of new schemes and paradigms associated with globalization and sustainable development. One of such challenges is to make the most and best use of available statistical and geographic information. CP IDEA is an organization focused on articulating common interests in the field of geographic information to develop national GSDIs that will integrate into a regional and global context. There should be a response to the increasing demands imposed by globalization, sustainable economic development and growing technological progress. Europe’s history resulted in a variety of nations, with various policies regarding the land issue and with a diversity of land administration systems. 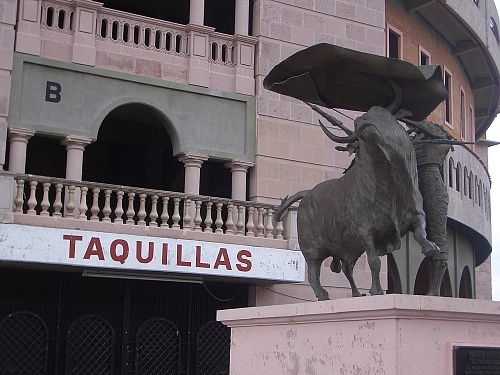 The organization of the public administration reflects different views on the role of the State and the division of power between central and local government. Despite all differences however, these nations also have something in common: land policies are in place and so have systems of land administration. There are two drivers. The first is the need for quality information for decision support. The second is the optimization of the return on investments in public information availability. Australia is a federation and operates separate cadastral systems in each state and territory. These have played a significant role in shaping Australia’s development. Initially they provided registration of ownership for land settlement. Then, by providing security for land transfers, they assisted establishment of a successful and complex land market. The cadastral systems have recently evolved into comprehensive instruments for assisting economic, environmental and social decision making. This is shown in broadening land tenure arrangements, recognition of traditional Aboriginal land rights, and use of new technologies to integrate cadastral information as a foundation of spatial information systems. Canadian federal and provincial government organizations have long been engaged in building and maintaining extensive collections of digital topographic mapping datasets, road network files and property mapping databases in support of their own respective mandates and obligations. Since 1996, a collection of these organizations has been instrumental in establishing and developing the Canadian Geospatial Data Infrastructure (CGDI) Initiative. The paper examines the nature and status of selected partnerships and institutional arrangements designed to help build the Canadian Geospatial Data Infrastructure. Land administration commenced in 1932, when the Government of El Salvador started developing a Policy aimed at facilitating peasants’ access to land by different programs. Cadastral activities were started by end 1963 but the National Cadastre was created only in 1970. In 1974, a Legislative Decree prescribed that the cadastre implementation was of public interest. The Land Information System’s main objective is to integrate land information authorities and functions so as to overcome difficulties derived from scattered institutional efforts. The CNR should be responsible for maintaining one single technical platform, under the guidance of the National Cadastre and Institute. After twelve years of participation in a nationwide program to provide rural land registration in Mexico, INEGI has been able to build up expertise in several fields of geographic, geodetic, mapping and cadastral knowledge. The use of very modern technologies related to land surveying also streamlined INEGI’s methodologies, reduced the time spent on field works, enhanced accuracy and reduced error margins for the data captured under uniform standards. Meanwhile, the setting up of a network of IT centers for mapping production and development of large databases, as well as their integration, access and exploitation by Geographic Information Systems, are key components of the Spatial Data Infrastructure in Mexico. Chile, through its National System of Land Information (SNIT, its acronym in Spanish), is currently making institutional efforts to consolidate its Geospatial Data Infrastructure. These efforts are supported by a Policy initiative based on the principles of transparency, institutional cooperation, decentralization and by the active participation of the Administrative Regions and the efficient and effective use of resources involved in the utilization of geographic information. All this is focused on modernizing Land Information Management in Chile, in accordance with countrywide efforts for the State to reform and modernize, achieve transparency, economic growth and social development. The paper analyses land administration in Brazil, existing land policies and available land information to proceed and audit main problems and current barriers. The author also reports on issues related to the decision of a land administration plan that needs to be integrated at federal, state and municipal level. Besides, the author also reports on resource allocation to provide for the modernization of basic mapping production.